Bobby Cash was born on December 5th 1944 in Miami Florida. He was adopted at birth by Herbert Daugherty & Chlorine Cannon who gave him the name Robert Cash Daugherty. At the age of 2 years old Bobby's mother Chlorine noticed that little Bobby was pretending to play piano on every toy and table in the house. She immediately enrolled Bobby into piano lessons. At the age of 8 years old his piano teacher told his mother she could no longer give him lessons because Bobby was now teaching her to play. Bobby always had the natural gift, of hearing a song once and being able to play it back note for note. He soon began to write his own songs. At the age of 14 Bobby did his first national recording with the Calhoun Twins. He appeared on the Ed Sullivan Show with the Dovells. Bobby Cash and Wayne Cochran then formed the band The CC Riders. 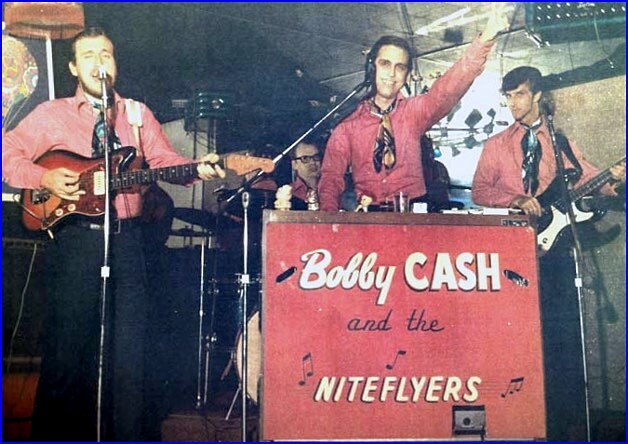 After the CC Riders, Bobby formed his own band Bobby Cash and the Nite Flyers (Bobby Cash on vocals and keys, Mike Bishop on guitar, Smitty Smith on drums & Jack Tapscott on bass). He was signed to King Records in 1961 at the age of seventeen. His first 45 release in Feb. of 1963 was Mona Lisa and Teen Love, then Run Fool Run, Only Make Believe, I Don't Need Your Love & Kisses, Answer To My Dreams, Tell Star, Nobody Knows, Only With You and several more. These records and many others you can still find today online. As his career continued he performed and toured with many groups such as James Brown, The Platters, The Drifters, Steve Alamo, The Coasters, The Ink Spots, and many more. He also played guitar for Tiny Tim. 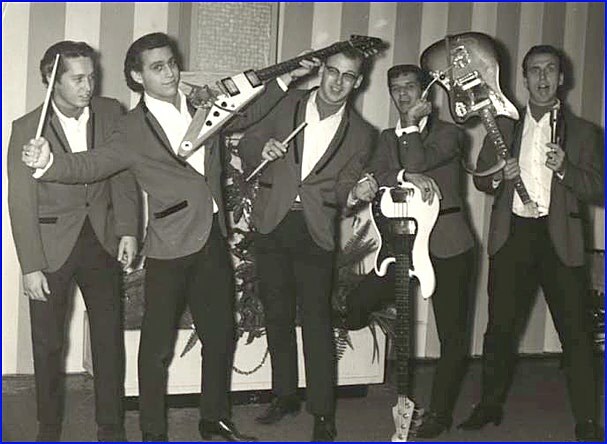 In 1981 Bobby's fifteen year old son Bobby Cash Jr. joined Bobby Cash and The Nite Flyers and became the bands new drummer. In 1986 they renamed the band Cash & Cash and performed together until his passing in 2002. Bobby Cash had 4 wives, 9 children and 10 grandchildren throughout his life which represent his passion for life, love, and music. His voice, positive energy and incredible stage presence was like no other. 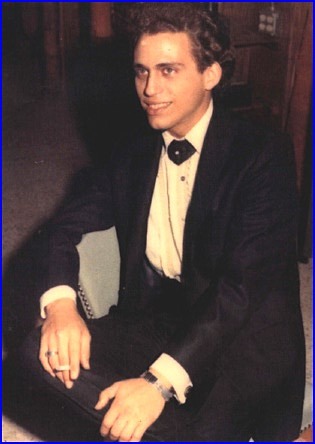 Bobby passed away on his birthday December 5th 2002 at 3:31 am and was placed to rest at Hillcrest Memorial Park in West Palm Beach, Florida. He performed music throughout his life until 5 days before his death and left his music for the world to remember him by. Bobby has several children in the music business that performed periodically with him throughout the years. His daughter singer/song writer Debra Shawn had a #1 Hit Single on the Free Style charts in 1992 called Bring Back Your Love. His daughter singer/song writer Fonda Cash recorded a remake of her daddy's song "I Don't Need Your Loves & Kisses" written by Bobby Cash & Wayne Cochran, after his passing. The song was released to radio in Dec. of 2004 by HMG Nashville. For more info on Bobby Cash or to listen to his music visit www.fondacash.com.